There is some good news for the Bengali film industry as Mayurakshi has made it to the list best films in 2017. In the first survey conducted by Indian Film Institute, 14 eminent film critics selected 10 best films and three best actors from Indian Cinema. The objective was to create a country-wide consensus on the Best of Indian Cinema which has largely been achieved if one goes by the final List. 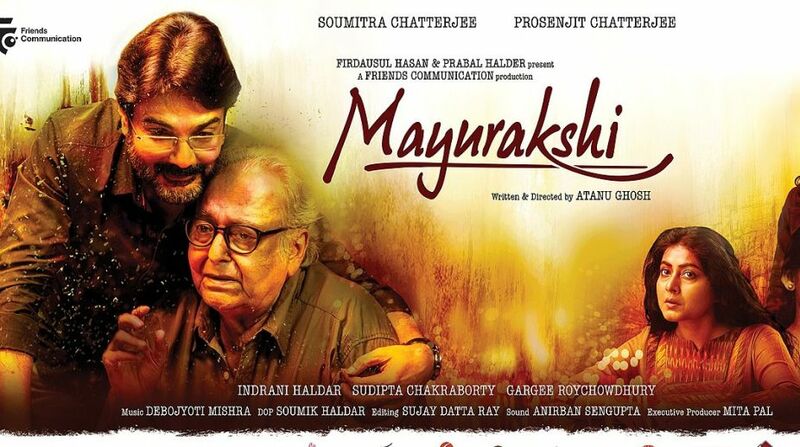 Where there were mostly films from Bollywood, Mayurakshi a film from the Bengali film industry made it to the top list. Mayurakshi revolves around the story of a father-son duo. Prosenjit, playing the character of Aryanil, is a middle-aged man dealing with a difficult phase in his life. He decides to visit his father Sushovan, played by Soumitra Chatterjee and returns from the US. The time he spends with his father revives his long lost memories and unfolds old chapters of their life. Eventually, he realises that the present time is more vital for both of them than the long years spent together. The achievement of the film is a matter of pride for the whole Bengali film fraternity.